THOUSANDS of protesters joined a planetary rally at 850 events in 95 countries joined to #RiseForClimate. Aunty Dorrie Gordon gave a heartfelt welcome to 200 gathered at the Quad in Lismore. 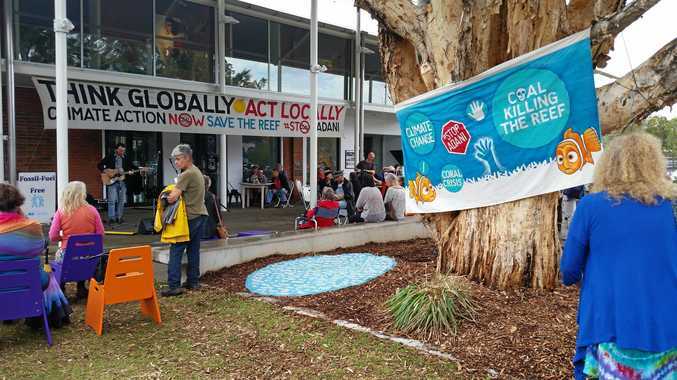 In Australia from the Great Barrier Reef to the Outback and from Darwin to Hobart, more than 40 events were held in state capitals, regional and rural towns, organised by local communities demanding real action on climate change. Similar events were held on Friday at Australian university campuses. An alliance of Australia's environment and social justice groups, included 350.org, Get Up!, Greenpeace, Solar Citizens, Australian Youth Climate Coalition, the Climate Action Network, Stop Adani, The Nature Conservation Council, Tipping Point and more, joined forces to target Prime Minister Scott Morrison. Local songman Luke Vassella opened proceedings, Greens candidate for Lismore Sue Higginson spoke about the many cases she had fought with the EDO.